7 nights in a 2 BEDROOM SKI CONDO at the WorldMark Steamboat Springs in Steamboat Springs, Colorado for January 30, 2010! 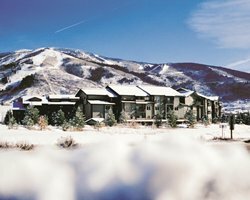 With the magic of the mountains, the splendor of the Yampa River Valley, and curative relief of the area hot springs, WorldMark Steamboat Springs couldn't have found a more perfect home. The perfection becomes even more obvious when you consider the area's incomparable skiing and snow sports, vibrant old-West character, hiking trails, and the exquisite scenery--all nestled in the middle of the incredible Rocky Mountains. 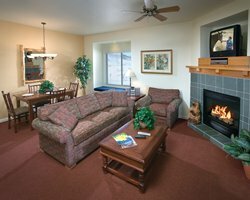 Other amenities include sports court, picnic areas with gas fire pit, 3 inground spas, and a ski shuttle service. indoor ski storage, and your own deck. bed, 1 queen bed and a double sleep sofa. Check-in is located in the main office. are non smoking. Pets are not allowed. Than 9pm. Unit Will Not Be Assigned In Advance Of Arrival. Units Are Non Smoking But You Can Smoke Outside The Units. The Pool Or Sauna At The Old Town Hot Springs Facility. Lcd And New Appliances Installed 4/25/12 Thru 5/29/12.